Murano Glass Beads in carmella model which has an interior or opalino Moretti colors and a band of silver or gold with stripes of transparent colors over the foil. Very new style and great for focal beads. We also have a smaller pillow and larger pillow match. 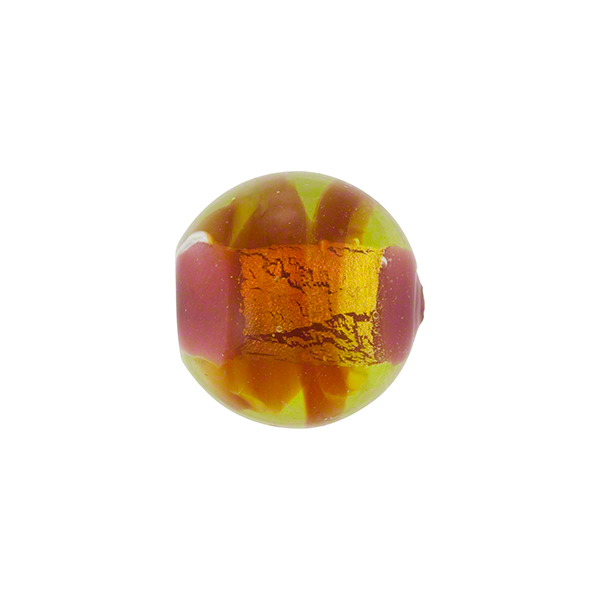 The bead is approximately 14mm i diameter with a 1mm hole through the center. The colors are rubino and green with gold foil.